When is it time to call the roofer? A leaking roof has many signs to tell of it's failure, but sometimes those signs are harder to detect. If water is already coming into your home and showing itself with stains on ceiling tiles or drywall, it's time to call the roofer. But sometimes you'll need to use your other senses to know that your roof is leaking. Hear a Thumping while it Rains? If your roof leak hasn't made it through to the interior of your home, you may hear the tell-tale thumping of water dripping in your attic. Turn off devices in your home to make it quiet during a good rain, and listen closely in every room. If you hear any sign that water is thumping on your ceiling or behind walls, you need to call a professional immediately. By the time that roof leak shows inside your home, there could be much more damage to the structure, requiring costly repairs and/or mold remediation. Check all of your windows to ensure that water is not leaking into your home. Water, other than condensation) should be addressed immediately. Leaks around windows are often not a leaking window, but a roof leak that has migrated to the path of least resistance and into your home via the openings at the top of windows. There are many other signs of a failing roof, and if you even suspect that your roof has issues, it's a good idea to call us quickly. 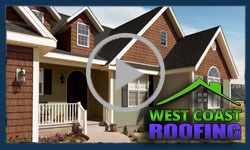 We will inspect your roof system thoroughly and assess problem areas and devise a plan to fix them. Call us today to learn more about your roof failure, and the options you have.